Michael Mamas is a thought leader in the areas of spirituality and personal development, with 35 years of teaching experience (including the U.S., India, Europe, and Canada). He helps people develop a deeper understanding and more comprehensive outlook by providing a bridge between the abstract and concrete, the Eastern and Western, and the ancient and modern. 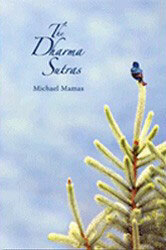 Michael Mamas is the founder and chief executive officer of The Center of Rational Spirituality (CRS) and the founder and developer of Mount Soma, a 448-acre non-denominational community and destination center near Asheville, North Carolina, designed to support spiritual growth, personal development, and health. He is the acclaimed author of nine books (including a novel, books for reflection, a home study course, a children’s book, and an anecdotal book translated into Japanese). Michael Mamas’ lifelong search for wisdom led him to seek out and study under great thinkers of the United States, India, Europe, China and the Philippines. The wisdom and knowledge he gained compelled him to dedicate his life to helping people evolve both personally and spiritually, by facilitating the natural development of their consciousness. His teaching of Rational Spirituality helps people move beyond their current level of spiritual understanding, whether they are atheist, any religion, or a creed. He teaches discernment as opposed to judgment, multiple realities as opposed to one way, and resting into your true nature as opposed to trying to be better. He helps people move forward in their field; gain health and vitality; and live their full potential. Dr. Mamas earned his Doctorate in Veterinary Medicine from Ohio State University. There, he was also a double major in undergraduate honors math and physics. Later, he obtained a Master of Business Administration from Maharishi International University, with a specialty in nonprofit management. In 2007, he was awarded the title of Adhyatm Vidhya Visharad (Master of the Highest Spiritual Knowledge, the deepest awakening of the Self) from Bhagavan Yagnyavalkya Ved Tatavagyan Yogashram, the Sanskrit College at the University of Gujarat, India. He is the only person from the West to ever receive this award. 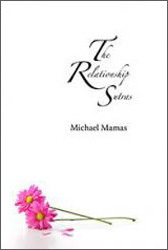 Michael Mamas established CRS to help people awaken to their inherent spirituality and health by providing free and affordable resources. Through CRS, he lectures, gives interviews, teaches classes, provides free meditation instruction online, leads meditation retreats, and writes articles, books, and blogs. By combining Surya Ram Meditation, personal development, and Knowledge based on the nature of existence, he is able to offer realistic and profound wisdom suitable for all ages and backgrounds. What he offers is the basis for true happiness, successful relationships, wise business endeavors, and general fulfillment in all areas of life. All classes and retreats are sponsored by CRS. These programs enliven one’s depth, free individuals from conditioning and facilitate the natural unfolding of one’s true nature. Classes are offered on both coasts of the United States. Presently, Dr. Michael Mamas’ focus is on Mount Soma, a 448-acre community designed to help evolve the individual, the community, and the world. Vedic technology—an applied science based upon the fundamental principles of nature—is used throughout the property. As part of that application, Mount Soma is designed to resonate with the deepest part of a person. Even the buildings carry the health and vitality inherent in nature. By simply being at Mount Soma, people’s personal evolution, health, and wellbeing are all supported. Persons of all faiths travel to Mount Soma, and in 2014 alone, Mount Soma hosted over 15,000 visitors. Dr. Michael Mamas has many videos on his YouTube Channel. 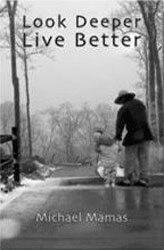 The "Your Philosophy of Life" video below provides a good introduction to what Michael Mamas teaches. Many downloadable audio files are available on SoundCloud, including the below audios. 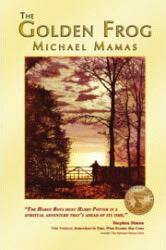 There are many Michael Mamas slideshow presentations available on SlideShare. The slideshows offer profound wisdom about life and the nature of existence, and feature incredible photography from Tanja Mamas. These books are available for purchase on mountsoma.org. All purchases support CRS. This book was written to help you free up your physiology and your psyche so you can naturally rest into your true essence—true knowledge. The more fully you understand and directly experience that all existence emerges from an underlying field of pure abstract no-thingness, the more fully in touch you will be with true essence. Photography by Tanja Mamas. All too often, the current state of the object of our attention receives too much of our attention. In actuality, the quality of our relationship with that object is critically important. A healthy Relationship with… is the key to success. This is true of our relationship with people and situations, be they personal, social, or global. A healthy Relationship with… is not just an attitude or philosophy to cling to. Developing a healthy Relationship with… starts with cultivating a healthy life—a life freed from conditioning. Verses for reflection that touch the place of wisdom and Truth inside. Topics vary from how to navigate life and multiple realities, to relationships. Each verse has an accompanying photo by Tanja Mamas or Martha Pollay. people cease to be good. they cease to be divine. Verses for reflection that invite a person to go deeper to find their Dharma, one’s life purpose. They cover how the process works as well as providing a means to help discover one’s life purpose. Each verse has an accompanying photo by Tanja Mamas. to feel into those opinions for yourself. Your path lies within you. Verses for reflection that take a person deeper and provide a fundamental understanding of relationships: what they are and how to make them work. Each verse has an accompanying photo by Tanja Mamas. the distortions in other people. A novel based on the true life story of the author, The Golden Frog explores the path of spiritual evolution in today’s world. It is a book full of stories within the story, unforgettable dialogues, and descriptions that capture a world beyond the relative…. …Gupta says that my Western education trained my brain to function unnaturally. He tells me he’s freeing my brain from that unhealthy state so it can operate properly. He says that deep inside, everyone already knows everything. By freeing the mind so it can function naturally, we’re able to tap into that place of wisdom and knowing that dwells within us. As a result, we learn to speak a language that’s not of man, but is of Mother Nature. It’s a more beautiful, efficient, and natural language than the one to which we are accustomed. There’s so much more to say, but I’m too tired to go on right now. 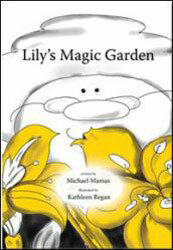 A children’s book that both children and parents can enjoy. It is a book full of wisdom and symbolism. Illustrations by Kathleen Regan. Lily likes to talk to us as she tends to her gardening. She likes to show us how each flower is in its own stage of growing and blooming. Some are in full bloom—she says they are showing all of their splendor. Some are just tiny little buds. Spiritual growth is about clarification, not just intellectually, not just emotionally, but also viscerally, physiologically, and directly experientially. Every religion has its foundation, that deep sense within all beings. It is often referred to as one's sense of divinity within. It is my purpose to provide people, regardless of their religion, with ever increasing levels of clarity in their understanding of this very nature of life and existence.